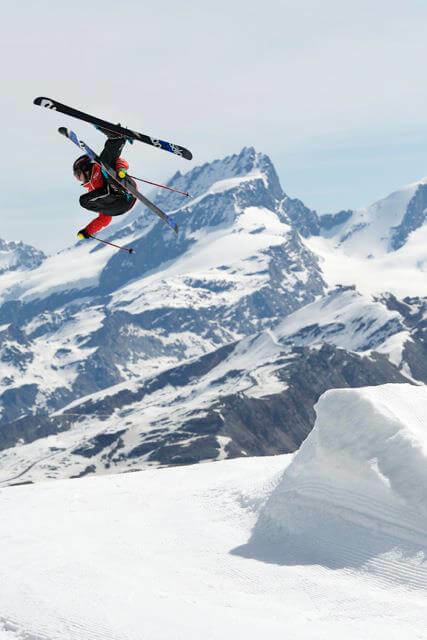 Have you ever thought about what snowsports instructors do in summer? No idea? Five snowsports instructors give you an insight into their summer life, their challenges and what they love most. 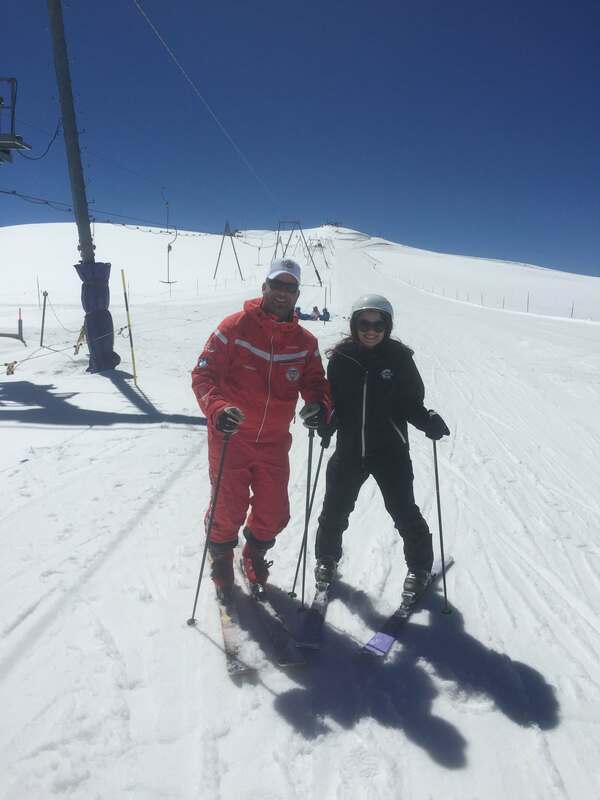 Have you ever thought about what snowsports instructors do in summer? No idea? 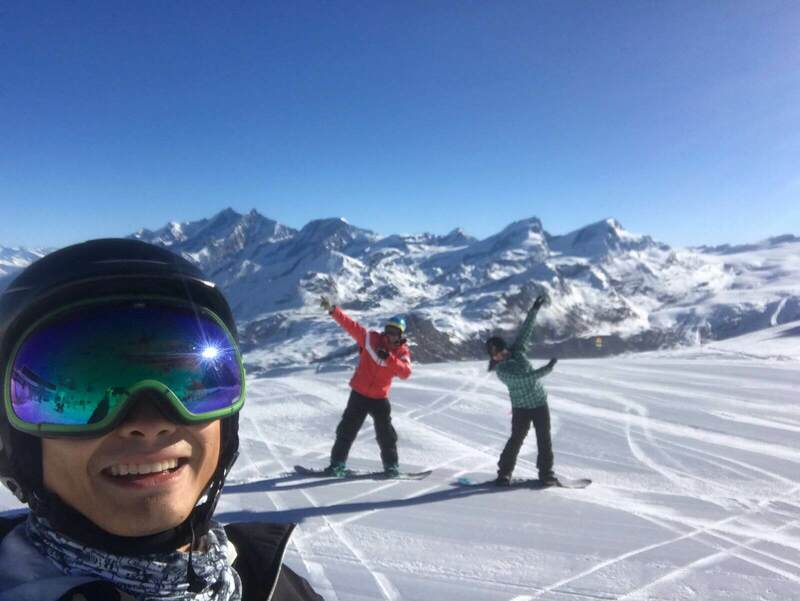 Well, they don`t just disappear to go into a reverse hibernation after winter season and come back out again in November… Here 5 snowsports instructors of the Swiss Ski and Snowboard School Zermatt give you an insight into their summer life. Summer job: Camp Move It – summer camp for kids (age 7 and older). 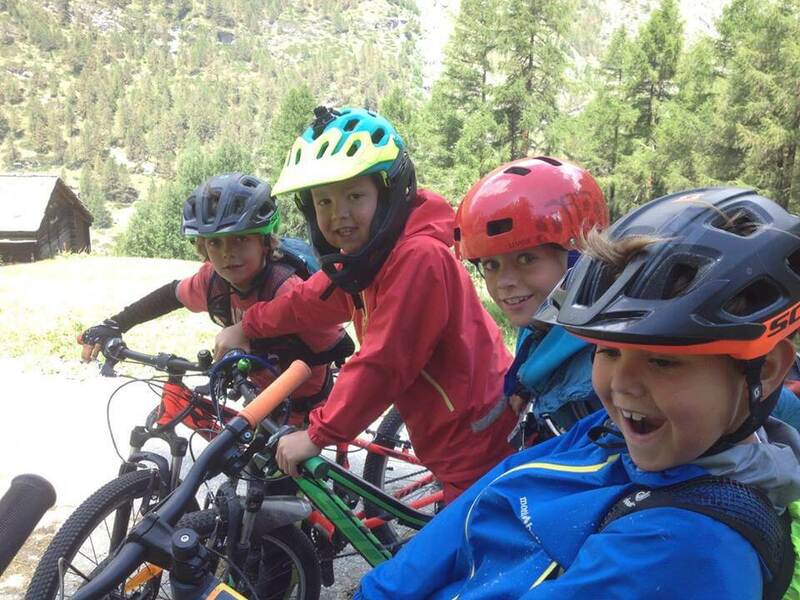 During a week, kids can participate in a variety of adventurous activities and it is shown to them what Zermatt has to offer. It includes activities such as mountain biking, wake boarding, climbing and summer skiing. The ideal way for kids to experience different outdoor activities. How did you become a ski instructor: I basically spent my childhood and teenage years on skis. I started with competitive ski racing and then changed over to Freestyle skiing competitions. I had to quit Freestyle skiing because of injuries. 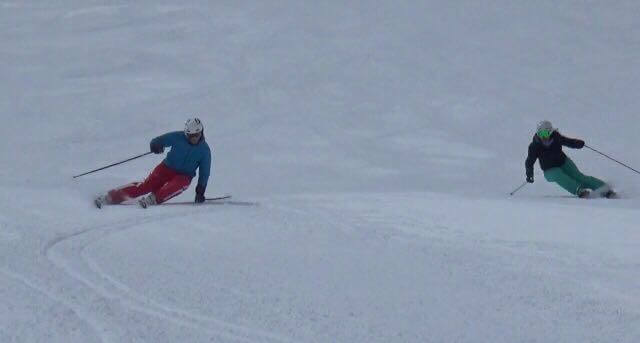 After completing my apprenticeship as a computer scientist I was longing for the outdoors and decided to become a ski instructor and haven`t regretted so far. Nathan, in summer 2016 Camp Move It took place for the first time. What was your motivation to create this camp? Nathan: Yes that`s correct. The main idea was to show the kids what Zermatt has to offer and to provide them with a fun, exciting way to spend their holidays. What`s the biggest challenge of Camp Move It and what is its biggest reward for you? Nathan: There is a pre designed program made for each week. Since the activities are weather dependent it is only possible to decide a day or two in advance if a specific activity can be done or if we need to choose an alternative. This requires flexibility from my side as well as from the kids and their parents. This is the most challenging aspect for me. It is, however, very rewarding to provide the kids with fun and adventurous experiences and it helps that I really like all the activities we do at Camp Move It! 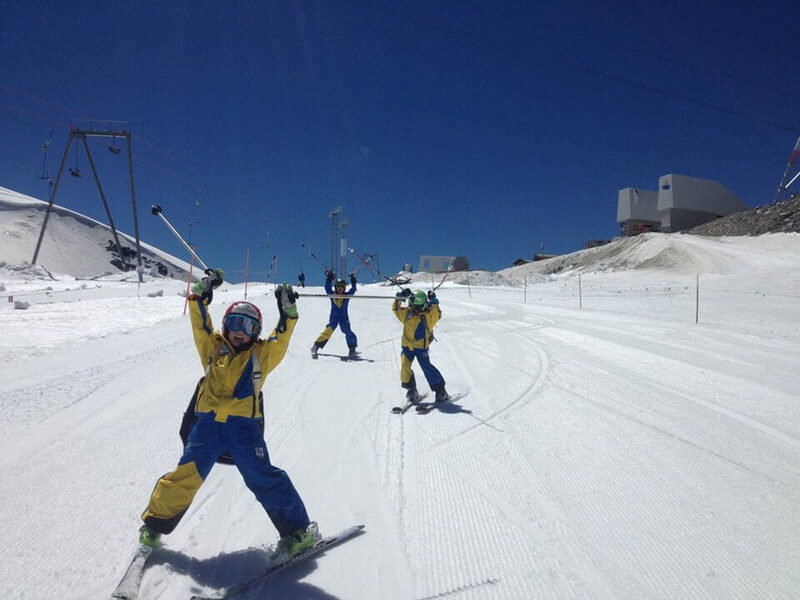 Why is Camp Move It your ideal complement to your job as a ski Instructor in winter? Nathan: In both jobs I’m able to do what I love and working with kids is never boring. 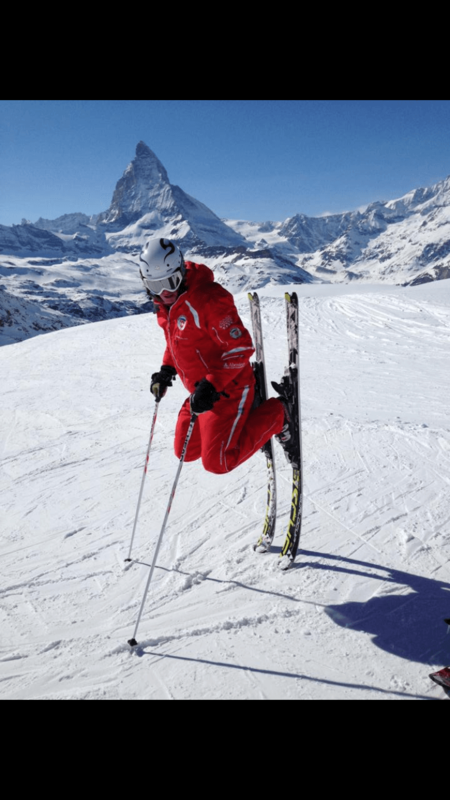 How did you become a ski instructor: As a child I spent ski holidays in Zermatt with my family. After completing a winter season as an assistant ski instructor I decided to stay and complete the full qualification. Tinu (Martin), you are full-time ski instructor all year round. What`s your motivation to spend all year on skis? Martin: My motivation is to inspire people to ski in summer. Spending a day summer skiing is a truly unique experience that I can provide to my guests. What are the biggest differences in your daily routine in summer and winter? Martin: In winter I spend full days skiing with my guests. Due to the hot temperatures in summer, skiing is only possible in the morning, so I can only do 3 hour lessons. The snow conditions in summer are different to winter and due to the small area, which is available for summer skiing, I need to be a bit more „creative“ when it gets to finding the right terrain to teach for example a beginner. In winter we have a vast area to ski including slopes for every level. 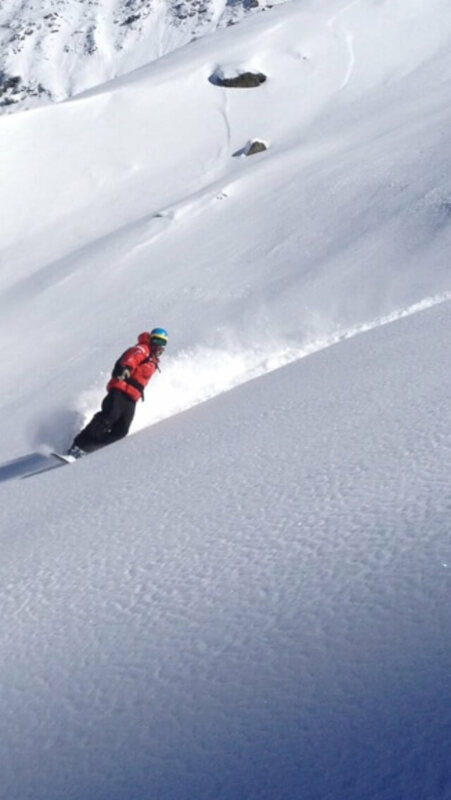 The summer ski area is high up on the glacier and therefore highly weather dependent, in winter you can always change to lower, less exposed areas. How do your summer and winter clients differ in terms of their origin, their motivation to ski and the length of their stay? Martin: Winter guests come from all over the world, usually stay 1 or 2 weeks and spend the whole time skiing. As well as the skiing, guests really enjoy the great mountain restaurants Zermatt has to offer. They come for the vast, top quality ski resort with great snow conditions, which they enjoy since most of them are good skiers, whereas, in summer most clients are beginners. They mainly come from Asia, India or Arabic countries and want to try skiing once in a lifetime. So, I ski with most of them only for a day. Summer job: Working at the Hörnlihütte, the base camp for the Matterhorn climb. How did you become a ski instructor: I was into competitive ski racing until the age of 20, so I basically spent all my life on skis. It is my passion and therefore becoming a ski instructor was a natural thing to do. Alexandra, this summer you are working on the Hörnli hut. What was your motivation to spend the season on 3260 metres above sea level? 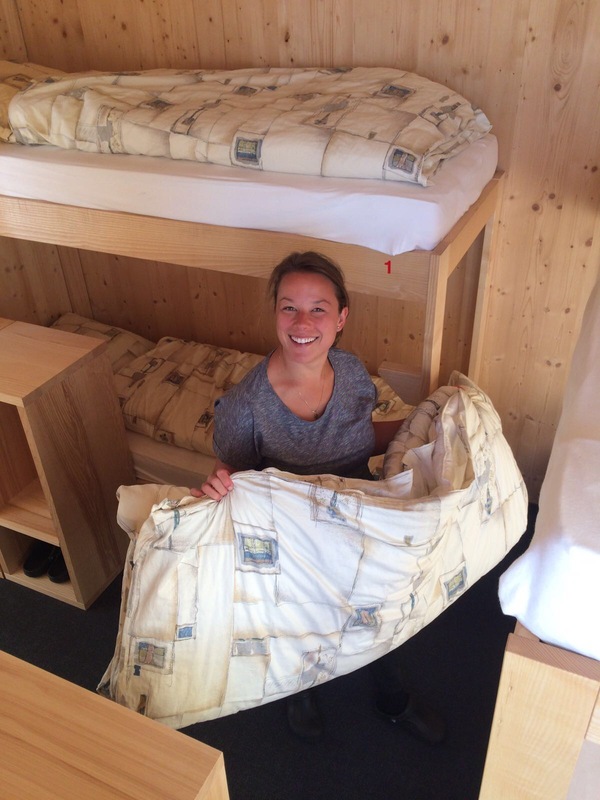 Alexandra: The past two summers I had a great job at the Hotel Coeur des Alpes in Zermatt. This year, I felt like a change and wanted to try something new. I love the mountains and like to work with people from around the world. So, the Hörnli hut is a great place combining it all. What do the two jobs have in common and what are their main challenges? Alexandra: In both jobs we deal with people from all over the world, which requires many different languages. So, we get to speak German, English, French, Italian and Spanish. Both jobs are part of the service industry. Dealing with people can be challenging at certain times because you have to try and satisfy their demands and expectations not forgetting health and safety aspects and other people at the same time. What do you particularly like about your summer- and what about your winter job? 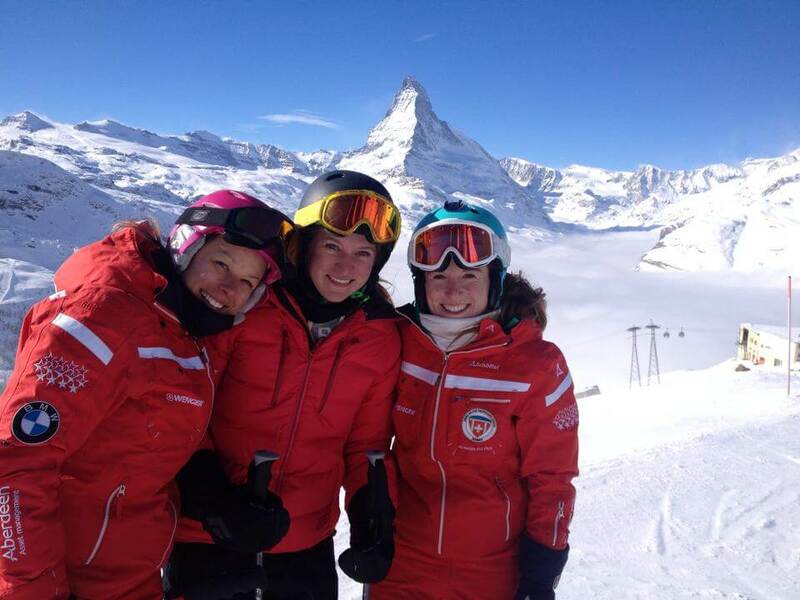 Alexandra: In winter I can ski every day, meet new people and teach them new skills. It is a great feeling, if your clients go home happy and satisfied after a great day of skiing, feeling they have learned something new. During my summer job I am active all day too. Our tasks are very versatile, we need to clean, serve and do reception work. But the best thing about it: the view!! You better come up and see it yourself! Summer job: Searching for wines and importing them into Switzerland (wine merchant). How did you become a snowboard instructor: I did the assistant snowboard instructor course to improve my own snowboarding skills and loved the experience. So, I decided to start teaching and went for the full qualification. I enjoyed each year more and more meeting new people and teaching them how to snowboard and seeing them improve. Jaco, you grew up in South Africa. 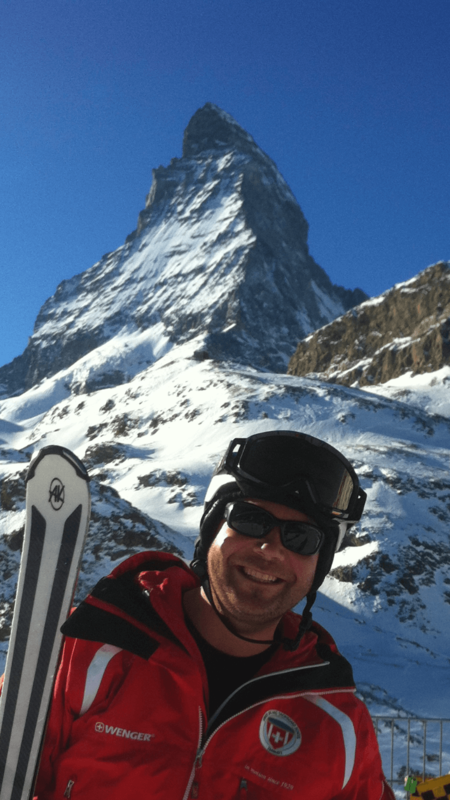 How did you end up in Zermatt and get to do the jobs of snowboard instructor and wine merchant? 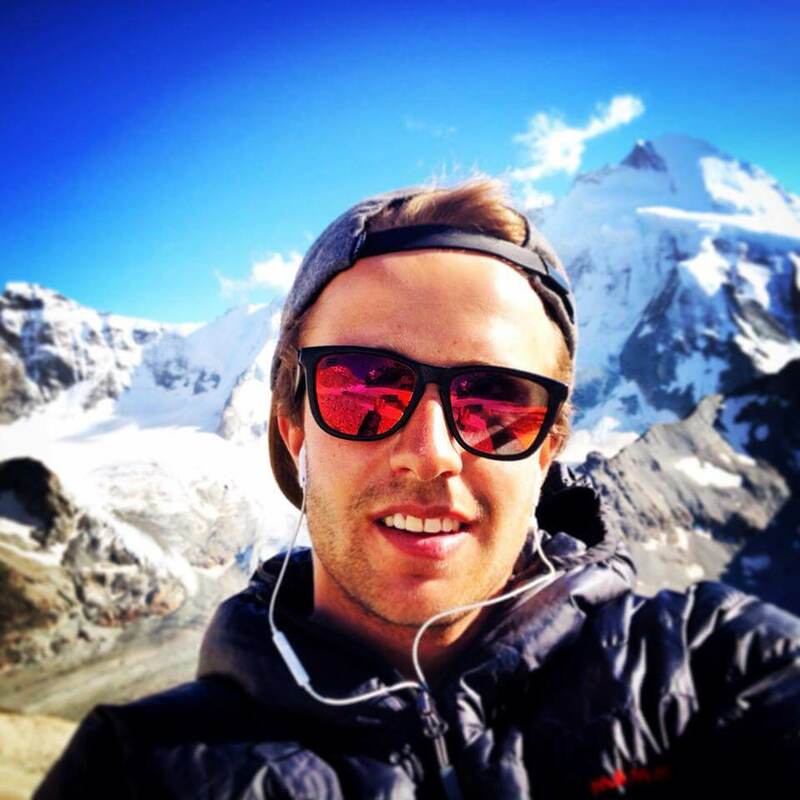 Jaco: I studied Hotel (Hospitality) Management and German and did my practical training in the Hotel Post in Zermatt, enjoyed the experience very much and decided to stay on for another year. My second year at the Hotel Post, I joined the Snowboard school and was teaching in the day time and working in the hotel in the evening. I grew up in South Africa between the vineyards and did various wine studies and courses, wine was always my passion. I wasn’t sure at that time if I wanted to study to be a sommelier or have my own restaurant; either way I enjoyed learning more and more. It was only in the last 6 years that the idea came about to import fine selected wines from South Africa and other countries to Switzerland. I believe that if you have a passion for something and you can make it your job, you would be good at it and enjoy working at the same time. I consider myself lucky as I love both my jobs! What is the main difference between your summer and your winter job? Jaco: My winter job is full days almost every day, 7 days a week, teaching and being busy with the wines. As for the summer, I have a bit more time to enjoy the mountains and plan hikes or climbs and days out with the family. What is most challenging and what`s most rewarding about your summer and your winter job? Jaco: Winter: Challenging I would say is saying no to work and making time for myself and the family. Rewarding, would have to be after teaching a guest for a day or a week and seeing how much they enjoyed their holiday in Zermatt. I often ask what they think of Zermatt, their holiday experience in general and if they would be back next year, their answer is always YES! 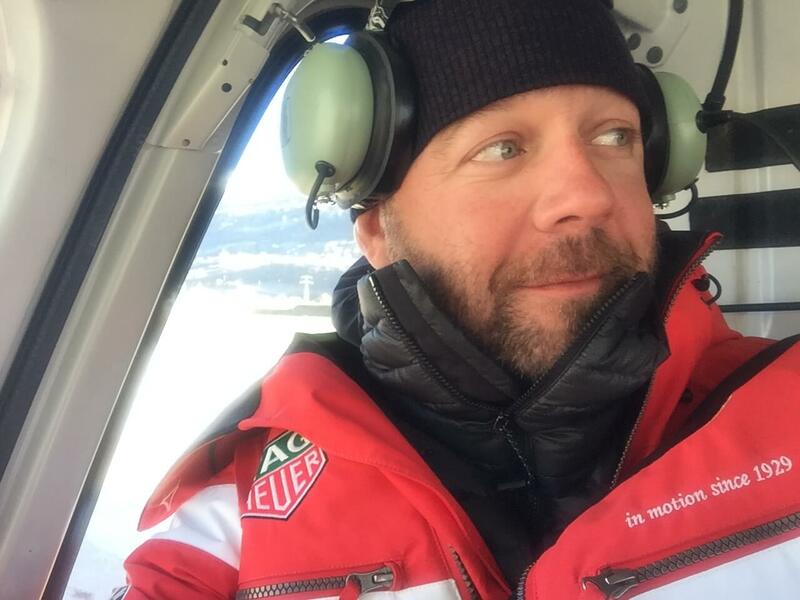 How did you become a ski instructor: I started skiing late in life – I was part of the Royal Marines in the UK, where my role as a cold weather warfare specialist saw me spending a lot of time in the snow and the mountains. I got a real taste for skiing during this time as we did a lot of ski touring to get us around. 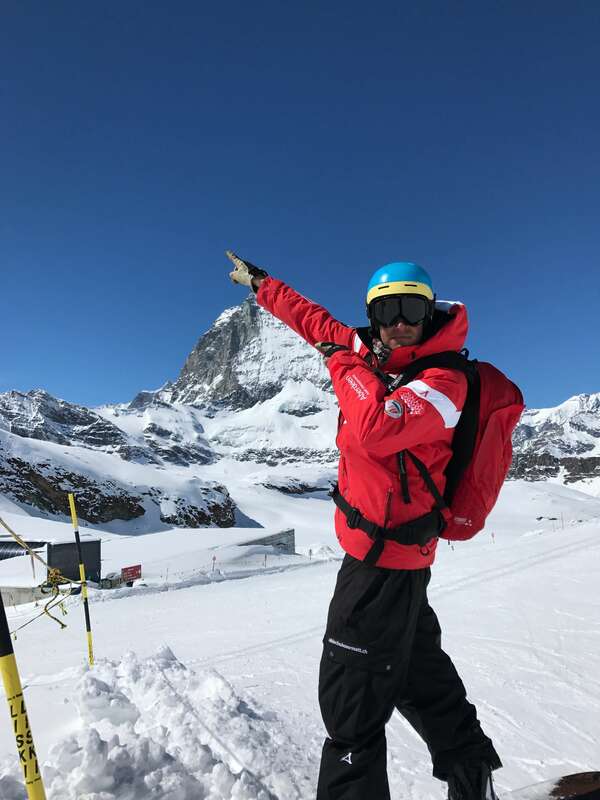 After leaving the Royal Marines I decided to come to Zermatt, where I completed all of my qualifications and started to work for the Swiss Ski and Snowboard School. 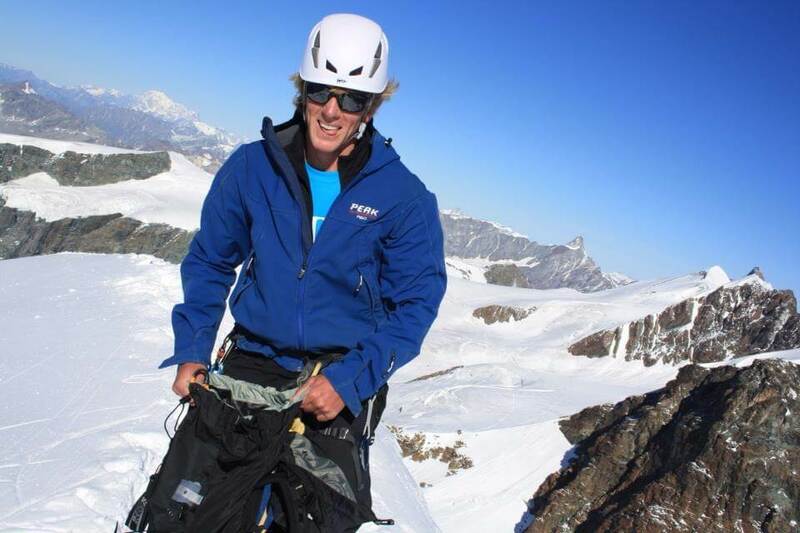 Liam, you spend your summers „up in the air“ building roofs in Zermatt. 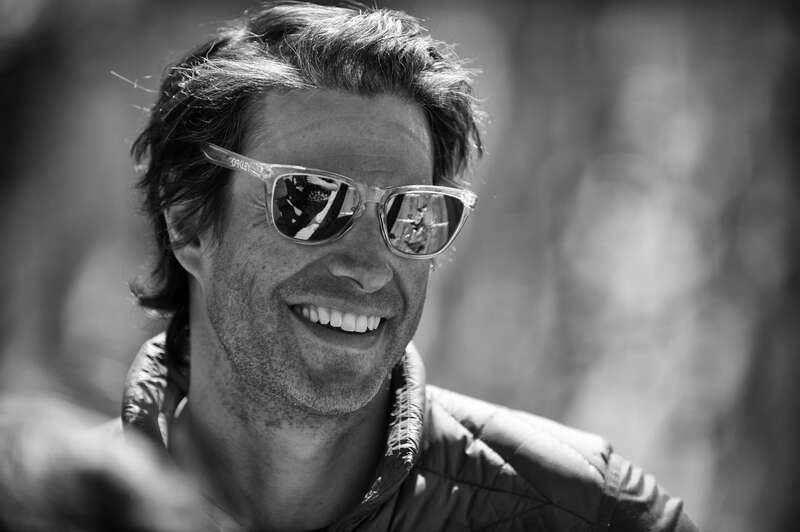 Why is this job the ideal complement to the profession of ski instructor? Liam: I love spending the summers putting something back into the community and helping Zermatt develop constructively. Ski instructing in the winter and construction in the summer compliment each other because they are both such varied jobs. I like to be creative and work with my hands. What is the biggest difference between your winter and your summer job and what do the two have in common? Liam: With both jobs I’m outside and they are active and physical. During the summer, I work as part of a team, the winter is much more individual work. What’s the biggest challenge / the highest reward of your summer and of your winter job? Liam: The days are much longer in the summer! Both jobs are very rewarding and what’s great is that you can always see a result, either the guest improving in their skiing or a problem fixed in town! Both equally rewarding!